Barack Obama is about to address a nation whose greatest potential liability is its Disneyesque illusion of atomic power. Despite the nation's huge debts and fears of foreign terror, America's 104 licensed reactors are the most dangerous threat to our future. After a half-century of operations, the industry still cannot get more than $11 billion in private insurance against possible accidents whose human and property damage could easily run from mere trillions to the simply incalculable. In the face of terror or error, earthquake or tidal wave and more, every tick of the atomic clock marks a moment in which a single glitch at a single reactor could forever bankrupt the nation. Escalating decay at clunkers like Vermont Yankee, New York's Indian Point and so many others define our worst untold crisis. Yet Obama may ask Congress to bilk taxpayers to build still more. In the 1950s a cartoon called "Our Friend the Atom" portrayed atomic energy as a "too cheap to meter" savior with no apparent problems. Our very houses would be built with uranium whose glow would provide heat and light on the spot. Atomic airplanes would soar through the sky. Hiroshima-sized "devices" would dig our canals and divert our rivers. Radioactive waste, lethal emissions, ecological dysfunction, soaring costs, human error, the threat of terror---none had a role in the carefully sanitized Hollywood myth of nukespeak non-realities. Today the fantasy has been deepened. Nuke waste is "stored energy." Three Mile Island was a "success story" where "nobody died." Chernobyl "killed 31 people." Reactors are an economic disaster because of "over-regulation." No matter that all the above are cartoonish falsehoods. The industry's apparently endless cash still pays for such happy-faced illusions of a technology that has spawned some 450 potential Chernobyls worldwide. Hyped to the hilt, showcase projects in Finland, France and elsewhere are melting amidst interminable delays and astronomical cost overruns. Proposed new US reactors have doubled and tripled in projected price well before the first shovel is turned. Meanwhile, an energy industry that has disputed climate science for decades now sells its atomic product as the "ultimate cure." Its backers have demanded---and got---exemption from liability for the full destruction that could be done by future melt-downs or explosions. And they now want untold billions in loan guarantees. Since 2007 a highly effective grassroots movement has kept the fund at $18.5 billion. With estimates for a single reactor now soaring to $10 billion and more, the industry demands $50 billion, $100 billion, whatever. Rub the genie's bottle and you might get a firm number. Wish upon a star and you might hear what just one melt-down could actually cost. In 2010 Obama granted the first $8.33 billion in loan guarantees for a two-reactor project in Georgia. Its price is already soaring. Electric rates there and in any other state that goes nuclear are destined for the twilight zone. Obama needs to tell it straight---only a total commitment to renewables and efficiency will get this country back on track. The Disneyesque illusion of a "safe, clean, cheap" nuclear industry is a veritable herd of oxymorons. A powerful, effective national grassroots movement has kept more billions from being dumped into this bottomless pit of bound-to-lose guarantees. We can write Obama asking him to keep the atomic error out of Tuesday's speech. But whatever Obama says, we must win again in 2011. Disneyesque illusions aside, atomic power is about to be transcended by green technologies that are cleaner, cheaper, safer and essential to our real survival. Harvey Wasserman edits the www.nukefree.org website. Pete Seeger sings SONG FOR SOLARTOPIA at his www.solartopia.org. Tell President Obama: Keep nukes out of the State of the Union! We have learned that President Obama's State of the Union Address on Tuesday, January 25, may include a call for Congress to enact a "Clean Energy Standard" that would support new nuclear reactors and "clean" coal plants. However, we're told a final decision has not been made by the White House and the issue is still the subject of debate within the Administration. Your actions now can make a huge difference. Please send a message to President Obama below and tell him that we know nuclear power and coal will never be clean and have no place in a "Clean Energy Standard." Then please ask your friends and colleagues to send in letters too. You can also easily share this page on Facebook, Twitter and other networking sites (just look for the logos on the upper right). Every nuclear facility releases toxic radiation on a daily basis, creates lethal radioactive waste and presents constant threat of meltdown--how is that clean? And even if carbon from coal plants could be captured (which is by no means clear), coal still brings us poisonous mercury, toxic ash and mountain top removal. The Obama Administration--and Congress--must understand that while carbon emissions must be slashed, replacing them with other pollutants is no answer. And, of course, if we're really serious about slashing carbon emissions, then we need to move more quickly to renewables anyway, which release two to six times less carbon per kilowatt of electricity than nuclear power. To our international friends: Our President may listen to you as well, so we encourage you to send a letter too! Note: You may edit the sample letter to reflect your own concerns and priorities if you'd like. I have learned that you are considering endorsement of a "Clean Energy Standard"--that includes nuclear power and "clean" coal--in your State of the Union address next week. There is nothing clean about nuclear power. 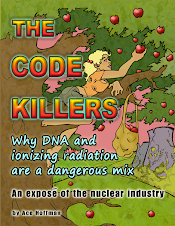 Every nuclear facility releases toxic radiation into our air and water on a routine basis. Nuclear reactors generate very long-lived lethal radioactive waste that we still do not know how to store for the thousands of years necessary before the waste becomes less radioactive, besides each of our current 104 expensive unsafe reactors posing a threat to be the next Chernobyl - where not 31 but nearly a million people now have died premature deaths thanks to the steam explosion and 10 day graphite fire releasing radiation that was swept around the world by nature's winds. "Clean" coal is an oxymoron. Even if its carbon could be captured, which is by no means clear, burning coal still releases mercury, generates toxic coal ash, and entails destructive mountain top removal. Carbon is not the only pollutant we must be concerned about and low carbon does not signify "clean." And nuclear power is far less effective than renewable energy, energy efficiency and 21st century technologies like smart grids and distributed generation at reducing carbon emissions. Indeed, carbon emissions associated with the nuclear fuel chain are 2 to 6 times higher per kw of electricity produced than solar and wind power. I understand you have not yet made a final decision on this critical issue. As a first step, please do not endorse a "Clean Energy Standard" that includes nuclear power and coal in your State of the Union Address. Then, please take the time to examine this issue more carefully. I am confident you will find that nuclear power and coal do not deserve the support of your Administration.